In honor of Memorial Day I wanted to share some pictures of the American Cemetery in Florence, Italy. I visited the cemetery last summer and I was very pleased to see how well it was maintained. The Italians gave America 70 acres to create the cemetery and memorial and the men and women who take care of the graves and monument do a wonderful job. The cemetery and memorial in Florence was established after World War II, to provide a final resting ground for the American troops who died in Italy. 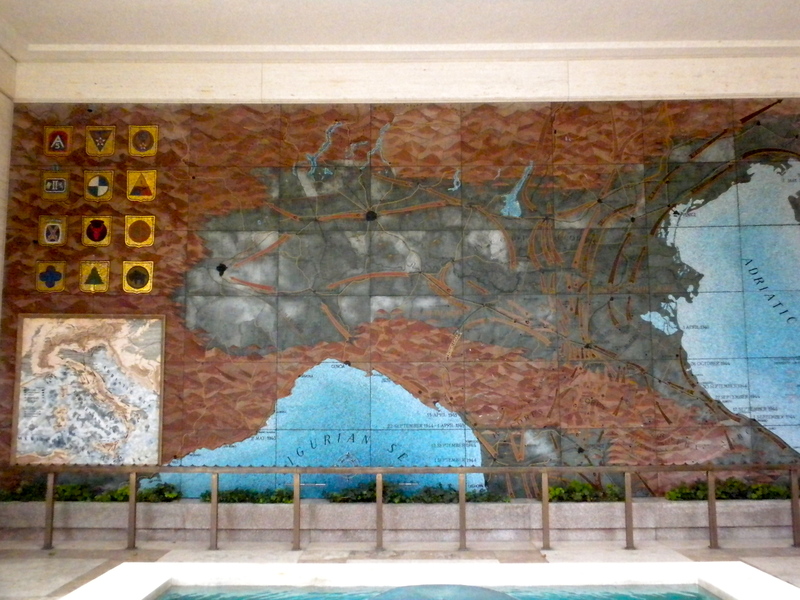 Part of the monument is a mural depicting the units that fought in Italy and their lines of maneuver. 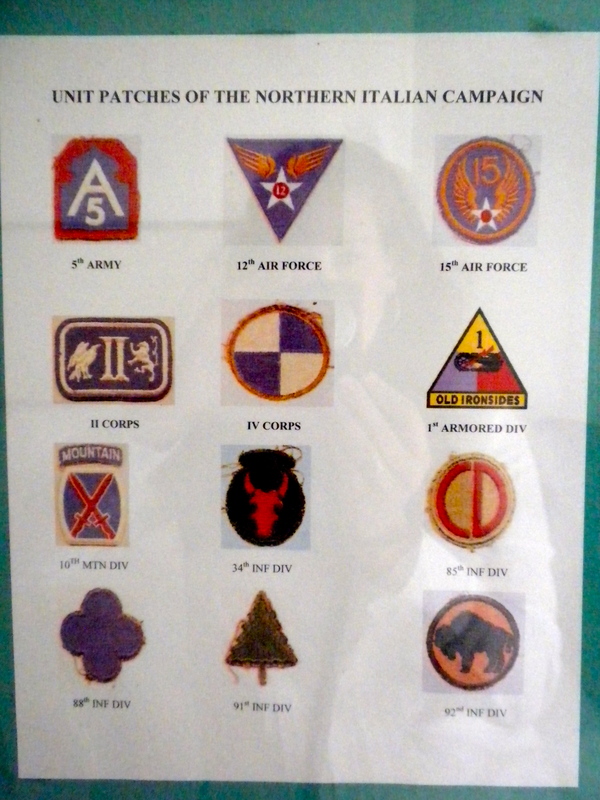 Here is another picture of the unit patches the American troops wore during the fighting. The quality is not great because I was taking a picture of a picture in a glass frame. There are 4,402 American men and women laid to rest in the cemetery in 4,398 graves (some soldiers are laid to rest in the same grave because their remains could not be separated). These graves represent fallen soldiers from every state in the union except Alaska. There are also service members originally from China, Turkey, Spain, and the Philippine Islands that fought and died for America interred in the cemetery. The Florence cemetery is one of 14 cemetery memorials erected on foreign soil by the American Battle Monuments Commission (ABMC). Before I went to the Florence cemetery, I had no idea there were so many American troops laid to rest on foreign soil. I did some research and I found out that after WWI, the Graves Registration Service asked each family of a fallen soldier if they wanted their loved one’s remains returned to the U.S., or if they would like them buried overseas. 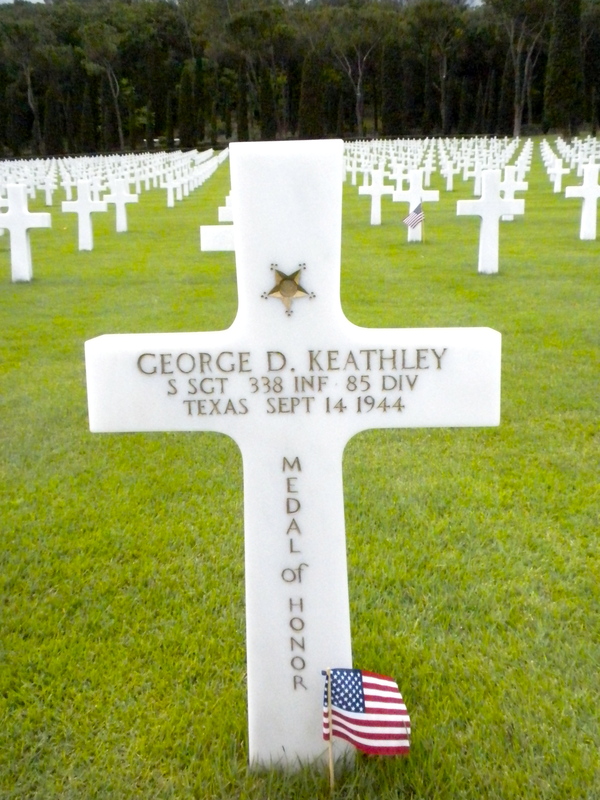 Many families decided to have their loved one’s buried overseas, and so the cemeteries were established. While I was walking around I found this grave of a Medal of Honor Recipient. 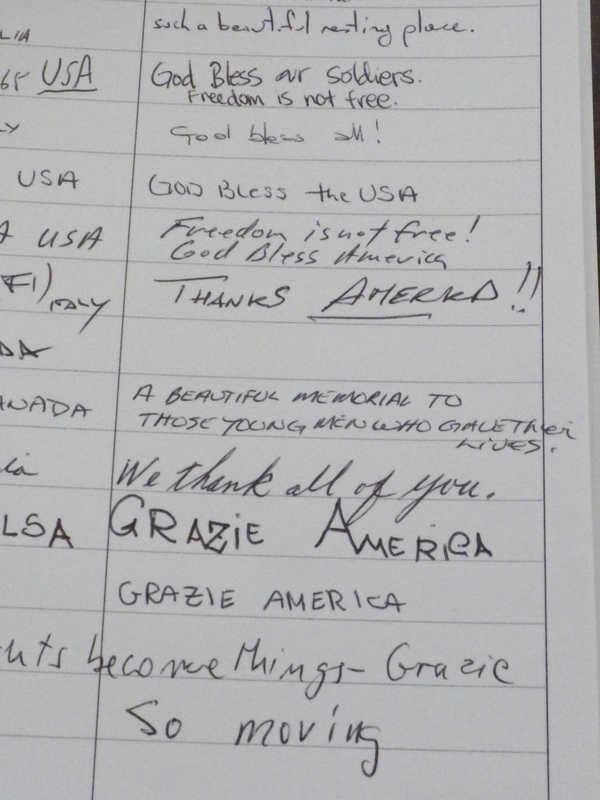 The guest book in the visitors center was particularly touching, with messages of gratitude from American and Italian guests. I hope everyone is having a wonderful memorial day! This entry was posted in Uncategorized and tagged Florence, Holidays, Italy, Memorial Day, Travel. Bookmark the permalink. 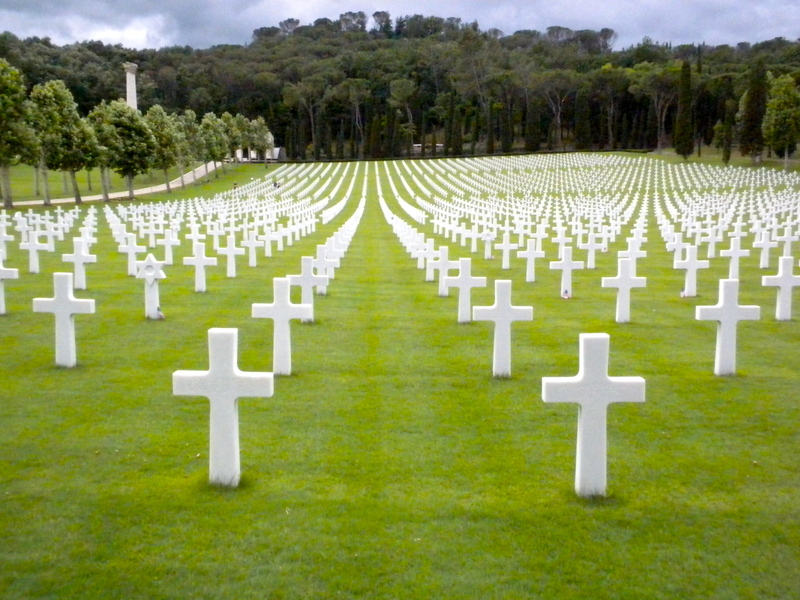 Wow, I had no idea there were cemeteries around the world with American service men/women. What a wonderful tribute to those who paid the ultimate price. Thanks for sharing your adventures with everyone, I’m learning so much! Thanks Lacey! I think it is so nice that the Italians gave America such a beautiful piece of land, it really is peaceful there!